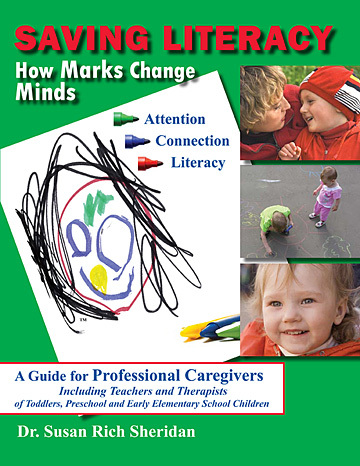 This guide introduces a Scribbling/Drawing/Writing program including developmental benchmarks, lesson plans, evaluation tools, and research questions for professional caregivers: preschool and daycare providers, elementary school teachers, child psychologists, art teachers and art therapists, speech pathologists, and researchers in early child development and education. The goals of the program are sustained attention, emotional control and connection, expanded speech, and literacy. Issues including autism and technology are discussed. Excerpts from this book are available to download here in pdf format.